Accrelist Ltd.(亚联盛控股公司) (Singapore Stock Exchange Code: 5RJ)(formerly known as WE Holdings Ltd.) started out in 1986 as a distributor and manufacturer’s representative for electronics products headquartered in Singapore, catering to the needs of the electronical manufacturing industry across the Southeast Asian region. 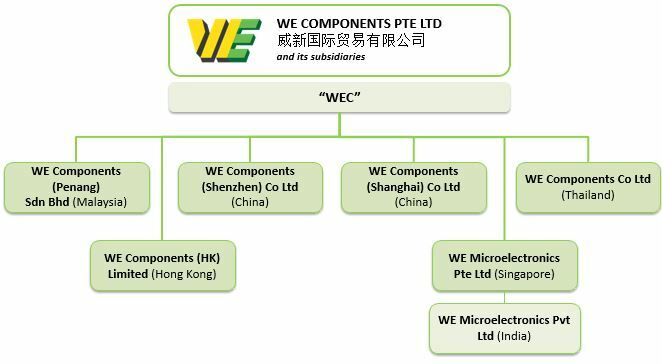 Starting out from manufacturing components, the company has grown and matured under the purview of Mr. Terence Tea, the Executive Chairman and Managing Director of Accrelist Ltd. who now owns a 65.82% stake in Catalist-listed Jubilee Industries Holdings (Singapore Stock Exchange Code: 5OS). Tracing back to the roots of Accrelist, Mr. Tea saw an opportunity when he bought over WE Holdings in 2013. In FY2016, he save the company from the jaws of liquidation by arranging, at the very last minute, a placement of new shares raising a sum of $7.5 million that was repaid to the banks. Without this, Accrelist would have been history. The troubled company used to be mired in losses for most parts of the past five years, except for FY2015, until it finally turned the corner in FY2018 when it registered a profit. 2017 marked an important milestone for Accrelist as it converted its loan of some US$16 million into shares of Jubilee Industries Holdings. Earlier in 2016, Accrelist spun off its subsidiary WE Components to Jubilee, effectively injecting the electronics component distribution arm to the latter. Today, WE Components is an essential part of Jubilee, and is one of the key reasons for Accrelist’s turnaround story. Jubilee Industries Holdings is a one-stop solutions provider in the Electronics Manufacturing Services (EMS) space who was established in 1992 and listed since 10 July 2009. Its main business focus is in the distribution of electronics component, plastic injection moulding, mould design and fabrication services. In 2017, realizing the importance of moving into the digital economy, Mr. Tea made a strategic decision to steer the course towards the Fintech business. The Group now owns several entities in the digital economy such as mobile payment, artificial intelligence solutions, facial recognition verification services, and crowdfunding. We own strategic stakes in the Electronics Manufacturing Services (EMS) sector and, in 2018, cemented our position as a Fintech company moving into the digital economy. In the Electronics Manufacturing Services (EMS) sector, we own a 65.82% stake in Catalist-listed Jubilee Industries Holdings. Jubilee Industries Holdings is a one-stop solutions provider in the Electronics Manufacturing Services (EMS) space who was established in 1992 and listed since 10 July 2009. Its main business focus is in the distribution of electronics component, plastic injection moulding, mould design and fabrication services. Jubilee Industries also holds a stake in Bursa-listed EG Industries Berhad – a company that is also engaged in the EMS space. In the Fintech segment, we are engaged in the mobile payment services,artificial intelligence solutions, and facial recognition verification services under the branding of Accrelist A.I. Tech Pte. Ltd., which makes use of Wechat Pay’s platforms to introduce mobile payment services to Singapore. In addition, Accrelist has also identified medical aesthetics as a growth area to tap into by raising funds through Accrelist Crowdfunding Pte. Ltd.,Operating under the chain of Accrelist Medical Aesthetics Pte. Ltd., it started off with four clinics with a view for up to 20 clinics by 2020. Accrelist A.I. Tech Pte. Ltd.
Accrelist Medical Aesthetics Pte. Ltd.
to unlock and maximise shareholders’ value. People are an integral part of our business and they are at the core of our business philosophy. Led by a strong leadership team and guided by sound business ethics, we aim to deliver value to all our stakeholders.